My favorite U2 song that begins with U is Unforgettable Fire. 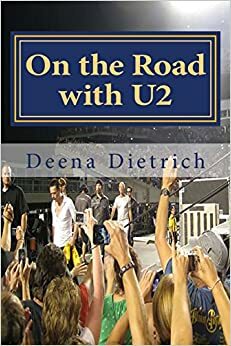 It is technically The Unforgettable Fire, but I used Trip Through Your Wires for ‘T’, so I’m using Unforgettable Fire for ‘U.’ I have always loved Unforgettable Fire. It was always in my top ten U2 songs, but I had never heard it live until 2009 on the 360 tour. I was SO excited to finally hear The Unforgettable Fire in concert, but unfortunately they changed it and cut out my favorite part – “Stay this time, stay tonight in a lie. I’m only asking, but I, I think you know. Come on take me away, come on take me away. Come on take me home, home again.” But it was really cool when Bono sang the first verse to us in Charlottesville. I’m only asking, but I, I think you know. Don’t push me too far, don’t push me too far. What is your favorite U2 song that begins with U?